Identified as being at risk of academic failure based on free and reduced lunch guidelines and/or receipt of Child Care Assistance. Learn more here about early education offerings through CPS. 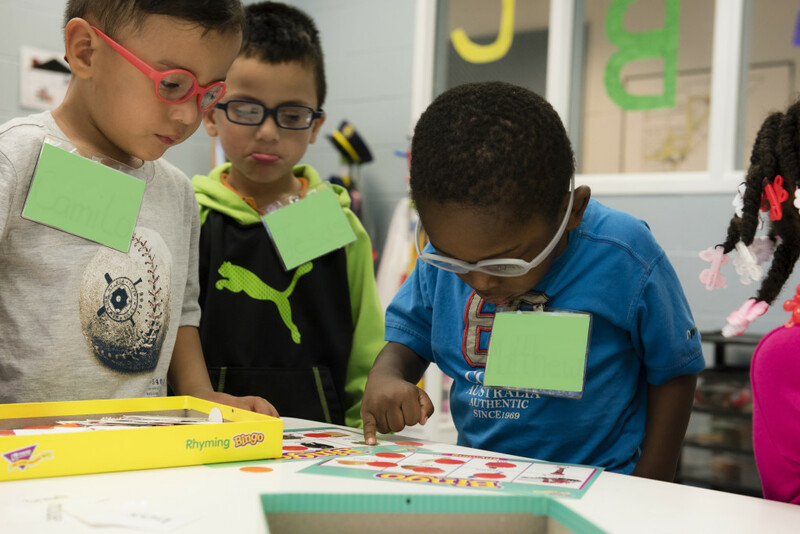 The first of its kind in the Midwest, our unique preschool program offers a blended learning environment where children with and without visual impairments learn in a common setting. Through interaction and play, this integrated approach instills sensitivity and respect for diversity from a young age. All materials, toys and books are adapted to meet each child’s individual needs. Students are introduced to Braille and other multi-sensory materials as a means for developing early literacy skills.